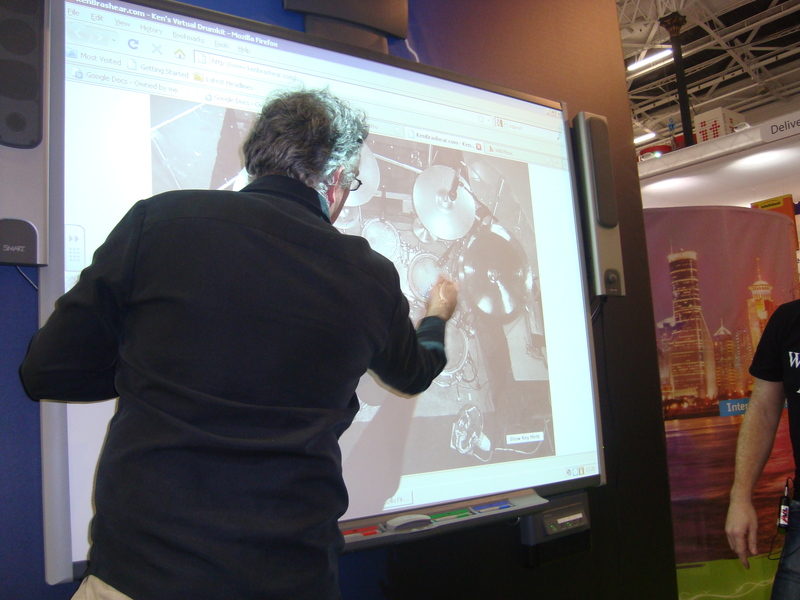 Much of the BETT experience for me was about sharing ideas with other like minded educationalists and I feel this was, by far, the most successful element of BETT. 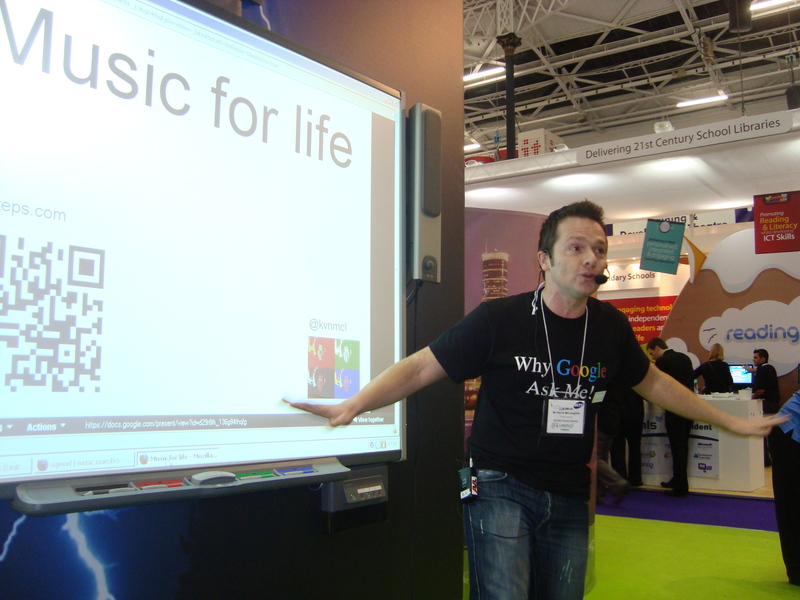 Thanks to great people like Dave Smith, Ian Addison and Ian Usher (plus a whole host of others – apologies for not including you all) events like Collabor8 4 Change, TeachMeet Takeover and TeachMeet BETT 2011 were unbelievably inspiring, welcoming, inclusive and well organised. They were also well attended and supported, suggesting that these are the sorts of ‘events’ the people that matter (i.e. 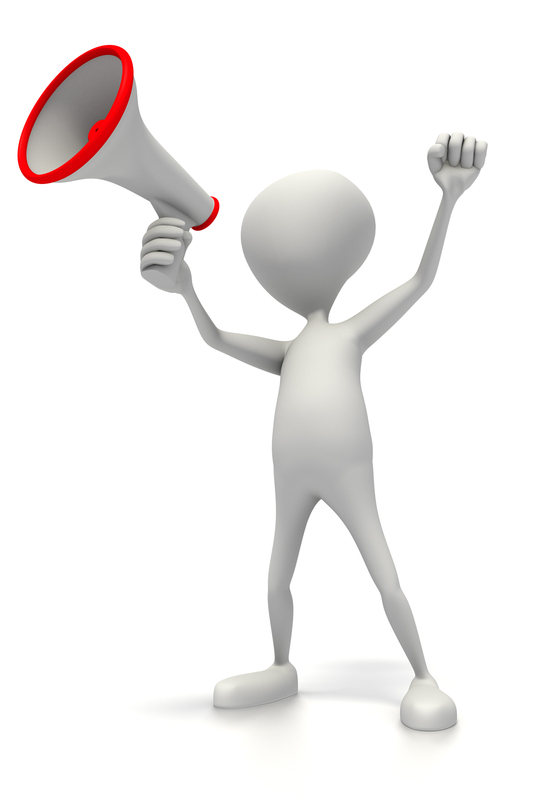 those actively involved in education) want to be part of: I hope others are taking note. I have to say I felt very honoured (and lucky) to be invited to speak at the 2Simple software stand and be part of their team at Collabor8 4 Change. I feel the (2)simple and intuitive nature of PurpleMash, in addition to their other software packages, are really blazing a trail and showing people how to make good software that is both accessible and inclusive for ALL pupils, including those with Special Educational or Additional Learning Needs, from Early Years to Ks2 and beyond. 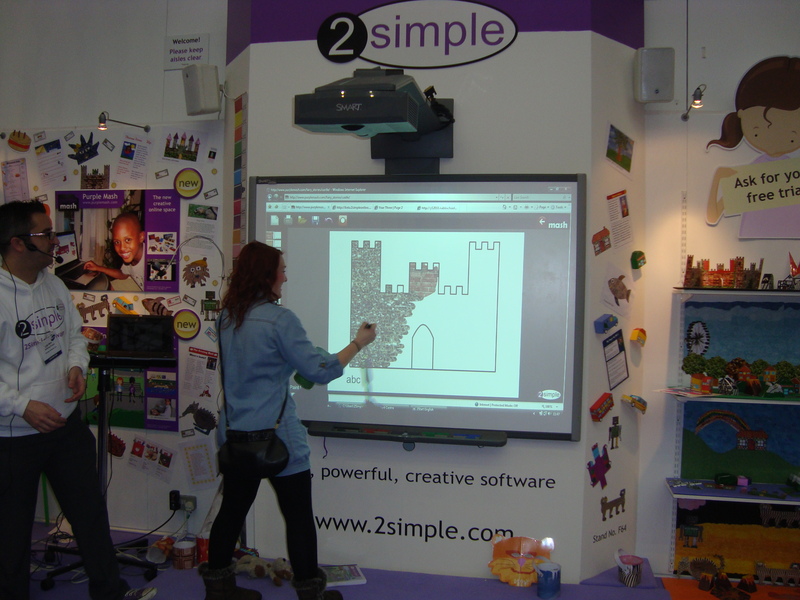 While on the stand over the three days I was there I got to watch all sorts of inspiring presentations from both members of the 2Simple team, and other great educators, which gave me loads more ideas of how to use their great products in the classroom. I also looked at their new development Mash 2 Web (thanks Philip – it looks AMAZING) and had a closer look at 2Start English, which looks like it could be useful to use with a large number of pupils from different settings: not just those pupils who might need a bit of support learning English but also in the average Foundation classroom. Well done guys – and thanks for making me feel so welcome. Your stand was buzzing with excitement and anticipation throughout the event – testament to the brilliant work you do! It was also great to see so many people from SEN settings coming and having a look as I think this is an area that is not always best served by what is marketed as ‘accessible’. A special shout out also has to go to the ever wonderful Chris Ratcliffe (honestly – he’s fantastic) and the team on the Scholastic stand. Like 2Simple, Scholastic understand what schools need and produce products which enhance the teaching and learning experience rather than items which make the whole process more complicated. They are also very supportive of the TeachMeet idea: I managed to complete a hat trick of TM Takeovers on their stand, one of which occurred just after I’d stepped off the train. I hope my presentations were useful – I can’t really remember what happened! Lots of other TMtakeovers took place on their stand over the four days and it was a pleasure to present and watch everything going on there. High spot, for me and many others, was the launch for Scholastic’s fantastic new literacy resource: Read and Respond Engage (well worth checking out), where I managed to meet Children’s Laureate Anthony Browne (as seen in the pic above). They’ve also got some great new science resources at Scholastic: just check out their website!!! Meeting back up with great people I chat to on Twitter: the best place to build an effective PLN in my opinion. Particular mention should go to my good friend @EBD35 (we were the only attendees to the exclusive Häagen Daz TeachEat!!!! ), without whom…etc…etc… but I met many other wonderful people, many for the first time, who were happy to put up with my fairly effervescent personality, willing to share ideas and supportive at the different events I was involved in. You know who you are and you’re all marvellous! Watching the fabulous Tim Rylands , and his posse, talking about the amazing Epic Citadel project and how it inspired children’s writing. That was followed up by showing and sharing great ipad apps and talking about the impact they have in the classroom. You can read all about it here! I loved the format of the Collabor8 4 Change event: it was lovely to be chatting and sharing/presenting ideas in small groups and needs to take place more often. Taking part in the TeachMeet: great again to meet people and all the presentations offered something to take away. Special mention should go to Bill Lord (‘don’t throw that camel – I’m not a well man’) and the LEGENDARY’ Dughall (that’s as in ‘The Magic Roundabout’ people – please remember) McCormick, talking about how a VLE engaged pupils during closures caused by snow while, simultaneously, wearing part of a Sonic the Hedgehog costume that prevented him from being able to actually see the screen. Pure class!!! Meeting up with Welsh Tweeps and talking about future TeachMeets in Wales (amongst other things). There’s one in Cardiff very soon! It was particularly nice to meet up with Karen and Ceri – two Welsh people who are trying to get others involved in creating PLN via Twitter. Diolch yn fawr! On Friday I mentioned TMTakeover to someone I was sitting next to at the Tim Rylands seminar. On Saturday I saw them in the audience during my TMTakeover. Result!! (and thanks). Rising Stars have a great new ICT product out called Switched on ICT. The launch on their stand was packed with fabulous people including Neil Adam and Miles Berry, both of whom made me feel at ease immediately. It was also great to see Andrea Carr again, she is always busy but makes time to talk to people: is a truly lovely person. I had a lovely welcome at the Mayer-Johnson stand where I was truly impressed by their developments in communication aids (custom skins for Dynavox – what a great idea) and Boardmaker which is now easier to use and has loads of great new features and teaching tools. Also thinking about supporting pupils with SEN: I loved the SMART table but it is a bit pricey for many schools at the moment I fear. I could also see how Anithings could enhance learning in an SEN (and Foundation) setting: thanks to John Sutton for sharing. 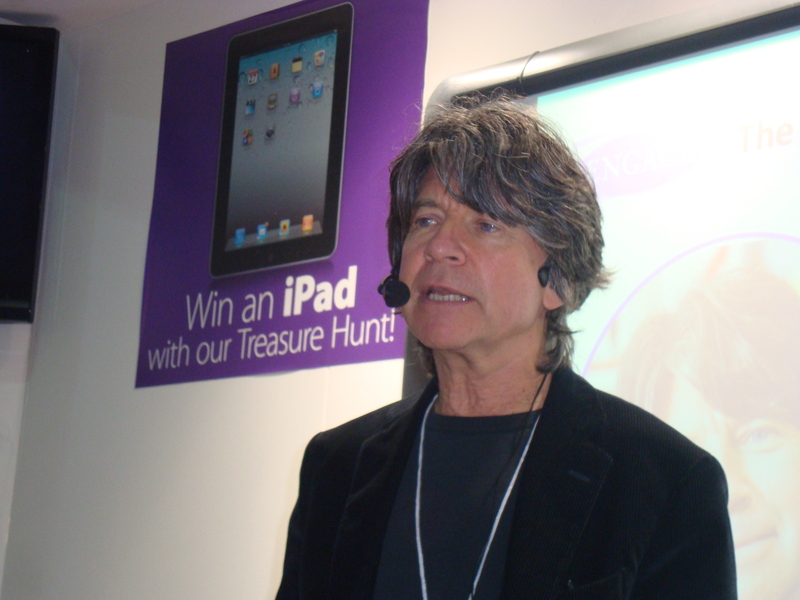 Did I mention Anthony Browne…?